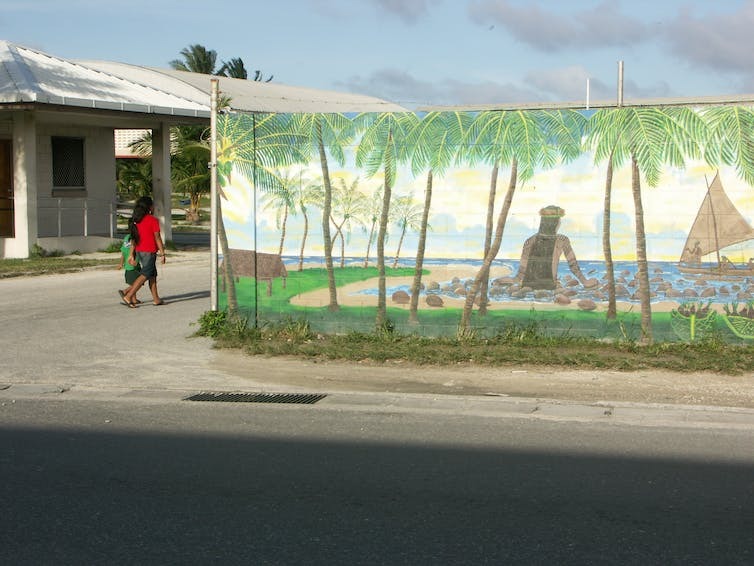 Environmental threats in the Pacific Islands can be cultural as well as physical. What actions are required to implement nature-based solutions to Oceania’s most pressing sustainability challenges? That’s the question addressed by the recently released Brisbane Declaration on ecosystem services and sustainability in Oceania. Compiled following a forum earlier this year in Brisbane, featuring researchers, politicians and community leaders, the declaration suggests that Australia can help Pacific Island communities in a much wider range of ways than simply responding to disasters such as tropical cyclones. Many of the insights offered at the forum were shocking, especially for Australians. Over the past few years, many articles, including several on The Conversation, have highlighted the losses of beaches, villages and whole islands in the region, including in the Solomons, Catarets, Takuu Atoll and Torres Strait, as sea level has risen. But the forum in Brisbane highlighted how little many Australians understand about the implications of these events. Over the past decade, Australia has experienced a range of extreme weather events, including Tropical Cyclone Debbie, which hit Queensland in the very week that the forum was in progress. People who have been directly affected by these events can understand the deep emotional trauma that accompanies damage to life and property. At the forum, people from several Pacific nations spoke personally about how the tragedy of sea-level rise is impacting life, culture and nature for Pacific Islanders. One story, which has become the focus of the play Mama’s Bones, told of the deep emotional suffering that results when islanders are forced to move from the land that holds their ancestors’ remains. The forum also featured a screening of the film There Once Was an Island, which documents people living on the remote Takuu Atoll as they attempt to deal with the impact of rising seas on their 600-strong island community. Released in 2011, it shows how Pacific Islanders are already struggling with the pressure to relocate, the perils of moving to new homes far away, and the potentially painful fragmentation of families and community that will result. There Once Was an Island. Their culture is demonstrably under threat, yet many of the people featured in the film said they receive little government or international help in facing these upheavals. Australia’s foreign aid budgets have since shrunk even further. As Stella Miria-Robinson, representing the Pacific Islands Council of Queensland, reminded participants at the forum, the losses faced by Pacific Islanders are at least partly due to the emissions-intensive lifestyles enjoyed by people in developed countries. in relation to the 2003 Canberra bushfires, Australians understand so-called “hard hat” responses to crises (such as fixing the electricity, phones, water, roads and other infrastructure) much better than “soft hat” responses such as supporting the psychological recovery of those affected. Similarly, participants in the Brisbane forum noted that Australian aid to Pacific nations is typically tied to hard-hat advice from consultants based in Australia. This means that soft-hat issues – like providing islanders with education and culturally appropriate psychological services – are under-supported. The Brisbane Declaration calls on governments, aid agencies, academics and international development organisations to do better. Among a series of recommendations aimed at preserving Pacific Island communities and ecosystems, it calls for the agencies to “actively incorporate indigenous and local knowledge” in their plans. At the heart of the recommendations is the need to establish mechanisms for ongoing conversations among Oceanic nations, to improve not only understanding of each others’ cultures but of people’s relationships with the environment. Key to these conversations is the development of a common language about the social and cultural, as well as economic, meaning of the natural environment to people, and the building of capacity among all nations to engage in productive dialogue (that is, both speaking and listening). This capacity involves not only training in relevant skills, but also establishing relevant networks, collecting and sharing appropriate information, and acknowledging the importance of indigenous and local knowledge. Apart from the recognition that Australians have some way to go to put themselves in the shoes of our Pacific neighbours, it is very clear that these neighbours, through the challenges they have already faced, have many valuable insights that can help Australia develop policies, governance arrangements and management approaches in our quest to meet the United Nations Sustainable Development Goals. This article was co-written by Simone Maynard, Forum Coordinator and Ecosystem Services Thematic Group Lead, IUCN Commission on Ecosystem Management.